Will increasingly sophisticated computer simulations “end” theoretical physics as we know it? That we are able to write down natural laws in mathematical form at all means that the laws we deal with are simple — much simpler than those of other scientific disciplines. Hence the elaborate computer simulations. Then, of course, as with other computer sims, the question is, how much is fact and how much is fiction? Prediction: Some good research and some really surprising, unreplicated findings. 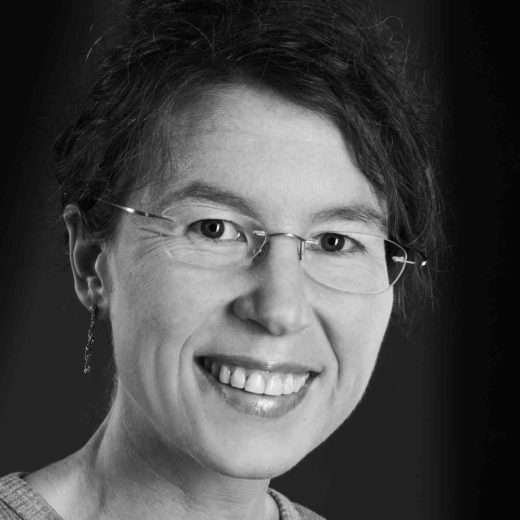 Note: Theoretical physicist Sabine Hossenfelder is the author of Lost in Math: How Beauty Leads Physics Astray. That reminds me of this piece of trivia that I learned. A major problem in trying to unify quantum mechanics and general relativity is that when theorists try to combine the two theories, then the resulting theory predicts that spacetime, atoms, and the universe itself should all be literally torn apart. Here are a few references that get this point across. Excerpt: One interpretation of dark energy is that it results from the energy of empty space, called vacuum energy. The laws of quantum physics imply that empty space is not empty at all, but filled with particles popping in and out of existence. This particle ‘fizz’ should push objects apart, just as dark energy seems to require. But the theoretical value of this energy is immense — so huge that it should blow atoms apart, rather than just causing the Universe to accelerate. Physicists think that some unknown force nearly perfectly cancels out the vacuum energy, leaving only the amount seen as dark energy to push things apart. This cancellation is imperfect to an absurdly fine margin: the unknown ‘energy’ differs from the vacuum energy by just one part in 10^122. It seems incredible that any physical mechanism could be so finely poised as to reduce the vacuum energy to within a whisker of zero, but it seems to be so. On the bright side, we’re lucky that dark energy is smaller than theorists predict. If it followed our theoretical models, then the repulsive force of dark energy would be so huge that it would literally rip our universe apart. The fundamental forces that bind atoms together would be powerless against it and nothing could ever form — galaxies, stars, planets, and life as we know it would not exist. Moreover, besides physicist having no idea how atoms, and the universe itself, are holding themselves together, physicist also have no idea how the periodic table is to be explained. To put Godel’s Incompleteness even more simply, “Anything you can draw a circle around cannot explain itself without referring to something outside the circle—something you have to assume but cannot prove”. “As a physicist, that is, a man who had devoted his whole life to a wholly prosaic science, the exploration of matter, no one would surely suspect me of being a fantast. And so, having studied the atom, I am telling you that there is no matter as such! All matter arises and persists only due to a force that causes the atomic particles to vibrate, holding them together in the tiniest of solar systems, the atom. It is also interesting to note that the Bible ‘predicted’ this “Mind” that both Godel and Planck postulated to be necessary to explain why things ‘hold together’. Moreover, if we rightly let the Agent causality of God ‘back’ into the picture of modern physics, as the Christian founders of modern science had originally envisioned, (Sir Isaac Newton, James Clerk Maxwell, Michael Faraday, and Max Planck, to name a few), then an empirically backed reconciliation between Quantum Mechanics and General Relativity, i.e. the ‘Theory of Everything’, readily pops out for us in Christ’s resurrection from the dead.